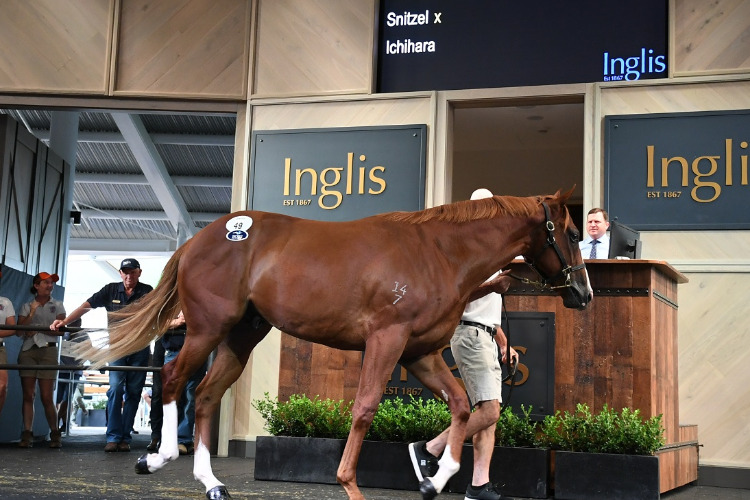 Tuesday’s opening session of Sydney’s Australian Easter Yearling Sale featured the fifth most expensive yearling ever sold in Australia. On a record breaking day of trade at Warwick Farm a Snitzel colt offered by George Altomonte’s Corumbene Stud was knocked down to bloodstock agent James Harron for $2.8 milion. The colt, bred from the General Nediym mare Ichihara, is the most expensive Snitzel progeny ever sold and the best result Corumbene has achieved since it started selling horses 48 years ago. •	The gross of $61,790,500 was a record for any single day of a southern hemisphere yearling sale. •	Torryburn Stud, Mill Park Stud and Sledmere Stud achieved record individual results for vendors to sell a million dollar yearling while Segenhoe Stud equalled their best individual result. Harron was in awe of the record priced colt, describing him as a “very special horse’’. “How he handled himself was quite rare,’’ Harron said of the youngster to be trained at Randwick by Peter and Paul Snowden. “He never had his head out of his feed bin, he never got upset. He just put his head down and marched every time and focused. “Seeing that focus from a colt is extremely important. 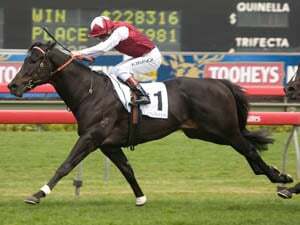 The colt's dam Ichihara won six races including the G2 Magic Night Stakes at Rosehill. She is a sister to the dam of the top class Snitzel colt Menari and is closely related to the 10-time G1 winner Tie The Knot. Corumbene’s George Altomonte heaped praise on his staff for the record result. “I’ve been doing this a long time and when you get a result like this, the staff at the farm are so excited,” he said. “Once you get something that tops the sale or might do so it makes them all feel pretty proud and I’m happy about that. 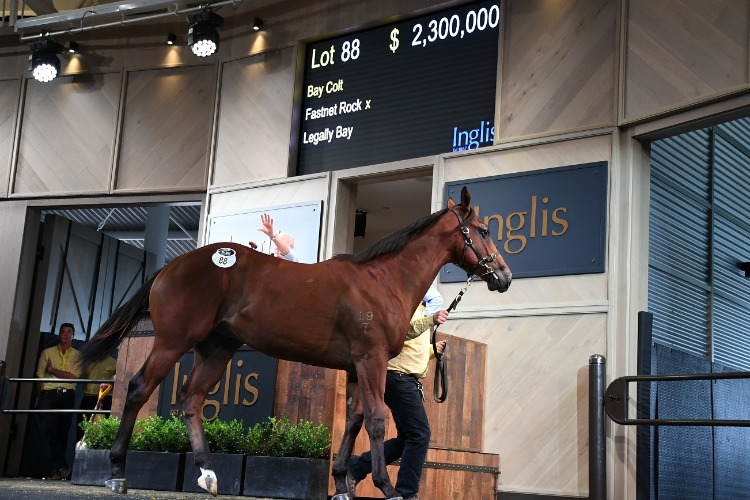 The day’s second top lot was a stunning Fastnet Rock x Legally Bay colt purchased by Aquis Farm for $2.3 million. 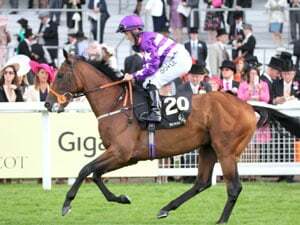 He was offered by Segenhoe Stud on behalf of his clients Chris and Jane Barham. The colt is a full brother to dual hemisphere G1 winner Merchant Navy. 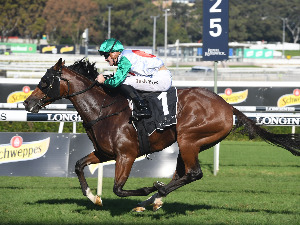 “I’ve seen a fair few Fastnet Rocks in my time at Coolmore and he was the pick of the horses here and the pick of the horses I’d seen all year,’’ said Aquis manager Shane McGrath. Ciaron Maher, who also trained Merchant Navy, will prepare the colt. 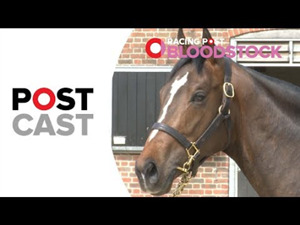 Segenhoe’s Peter O’Brien predicts big things for the Fastnet Rock colt. “This horse has a temperament like his brother, he’s just bombproof and has a great action,” O’Brien said. Lots 226-450 have been catalogued for the second and final day of the Australian Easter Yearling Sale on Wednesday. Legally Bay, by Snippets, won the G3 Sweet Embrace Stakes and was a multiple G1 placegetter.